Whether your site's purpose is about traveling, entertainment, informing, persuading or marketing, you must have to interact with your website visitors to know their stance, draw their attention so as to drive them to the action that you want them to do. If you want to interact with your website visitors efficiently, website forms come first to the spot. With web forms, you can get subscribers, user opinions, get object data (like profile pictures, documents etc.) of your users and many more. However, if you don't have any coding know-how, creating web forms will be really difficult for you. Not to worry! 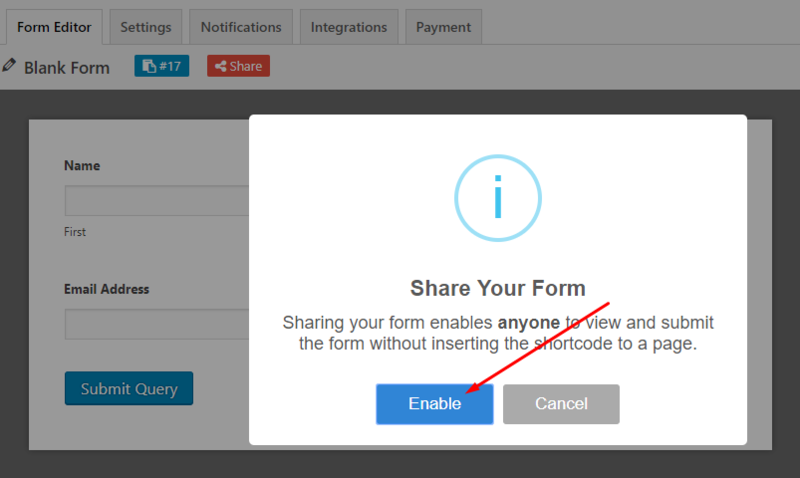 Today in this tutorial we will show you how you can easily create web forms with WordPress. Now, let's dive in! Never include too many fields on a form. Research suggests that forms with fewer fields have more conversion rates. Never use redundant or any irrelevant fields on the form. The design of the form should be clean, uncluttered and visually appealing. 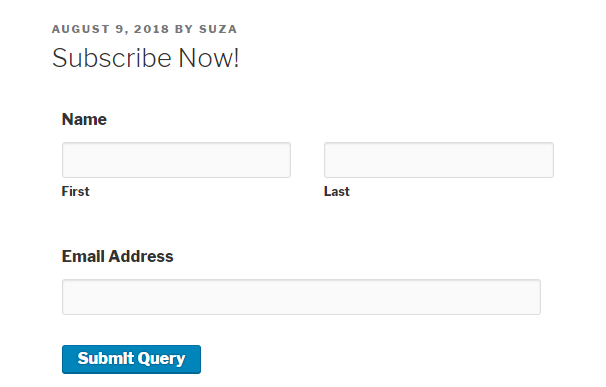 Use thank you page or a confirmation page when a user submits a form. You can use reCaptcha field on your form to prevent spamming. 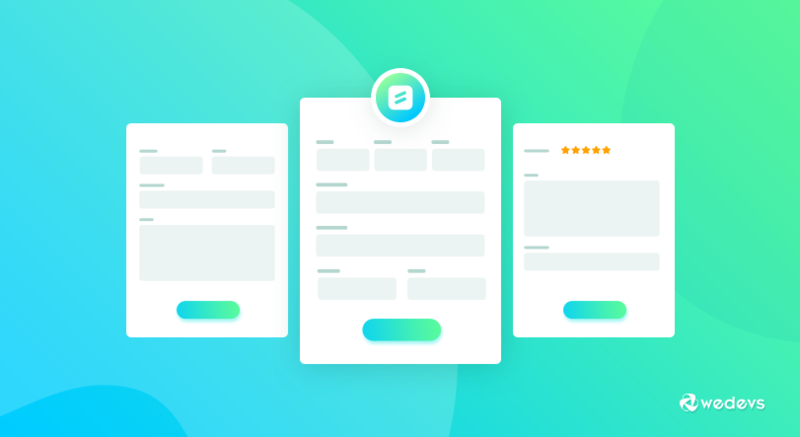 If you have to embellish your form with a lot of consequential fields, you can use multistep forms. But, keep the steps within two or three so that you can have more conversions. Use help-text where it is necessary. Meaning that some fields may seem very technical and using help-text will make it understandable for your visitors who do not have any technical knowledge. The labels should be correctly aligned and precise. Check if the form is mobile responsive. If any information entered by the user is wrong then show him an error message with details. You can always do A/B test to see which type of form design is more effective. 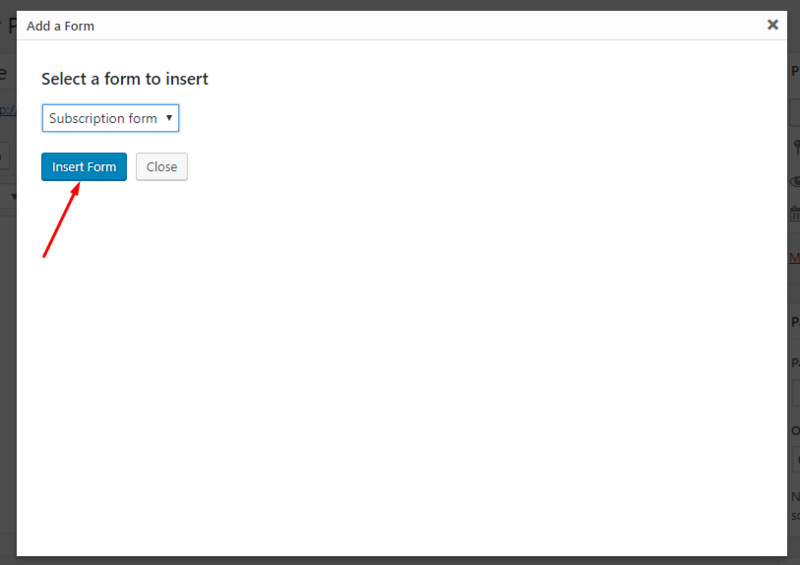 This in-depth tutorial will help you create web forms for free using a WordPress form plugin. weForms is a free, easy to use, mobile responsive WordPress form builder plugin which is suitable for beginners as well as advanced users. Currently, the plugin has 5000+ active installs with an impressive five-star rating. 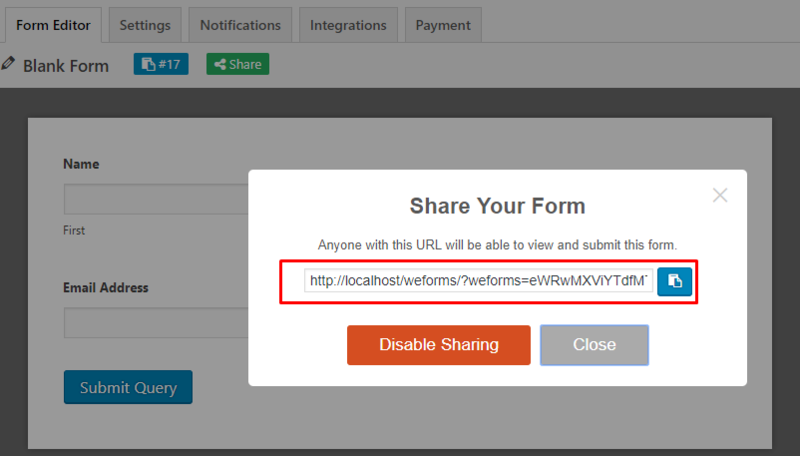 This WordPress form plugin can be used to create any type of forms for your WordPress site. 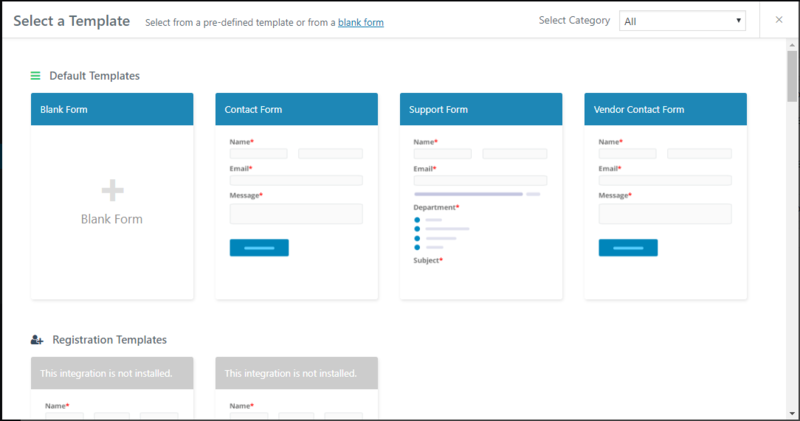 Here's how you can create interactive forms using weForms. Navigate to your WP Admin Dashboard → Plugins → Add New. Click on the “Install Now” button to install the plugin. Navigate to WP Admin Dashboard → weForms → Add Form. If you want to create forms from scratch then use the Blank Form template otherwise choose a template that suits your need. 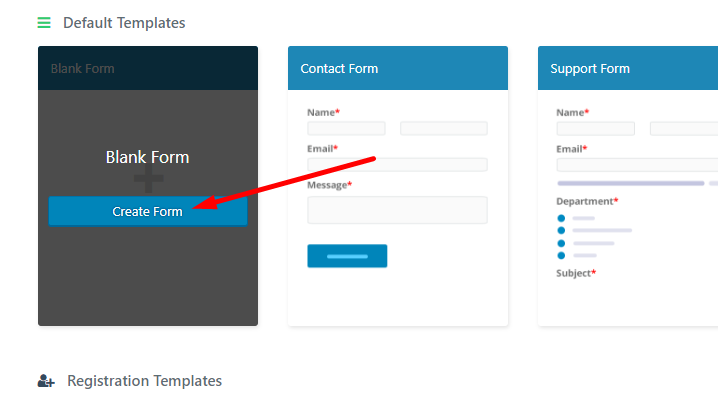 If you hover your mouse on the Blank Form template then you will find a “Create Form” button. Name: To enter this field, simply click on the “Name” field right from the Add Fields options of the form editor. Email: Use the “Email Address” field to include this option in the form you want to create. Now, click on the “Save Form” button to save the form data that you have entered just now. There are two methods of publishing a form. One is using the shortcode method and the other is using the “Add Contact Form” button method. This method is much easier than Method 1, as you can directly select the form without having to copy the shortcode. Finally, hit the “Publish” button to publish the form. Form building with weForms will give you a seamless experience because it supports almost all of the cutting-edge fields like reCaptcha, multistep functionality, mobile usability, google maps and so on. Though the premium version includes all the advanced functionalities, the free version can also sufficient if you're just starting off with forms for your WordPress site. Follow the link below to get the free version now!